Partner Africa offers a range of training programmes that are invaluable to African based companies. Businesses and individuals often struggle to meet their sustainability goals without the proper support. Partner Africa’s training programmes are designed to increase capacity, and improve practical knowledge and management skills within companies aiming to enter or improve their presence in international markets. Our programmes aim to improve the systems, structures and processes required to achieve ethical business goals of international companies with African based operations. Partner Africa offers a range of training programmes that are invaluable to African based companies.  Our training programmes cover general ethical trade awareness and compliance to global standards as well as address some of the most common areas of non-compliance. We also offer training in certification processes for Rainforest Alliance and Fairtrade. Our training programmes have been designed to transform the traditional classroom setting into an interactive participatory approach. 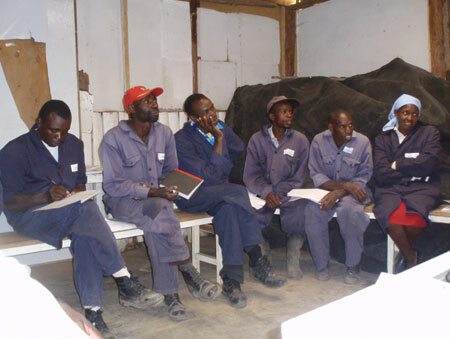 Our participatory training methodology strengthens peer to peer learning, while considering literacy levels, language, backgrounds, cross cultural settings, tribal differences, factory/farm locations and worker situations. For these reasons, we invest in and assign local trainers who have the relevant local knowledge and languages if needed. Partner Africa is also able to provide translators, so that migrant workers can also participate. Our experience shows that during the workshop or course the trainees tend to undergo a significant change in attitude and approach. This initial change is the first stage in the process, so it is important that we allow this change to happen and are confident that as the workshop or course progresses, participants will move through this phase when they begin to develop and appreciate a deeper understanding of their potential role in managing development activities. Some examples of the participatory approaches used in training include: use of energizers, ice breakers, role-playing, case studies, open discussions, and situational activities which incorporate games and scenarios to help trainees better understand a difficult situation. This is a two-day course that explains the importance of workplace communication and uses experiences from leading ethical suppliers to illustrate mechanisms for improving communication in the workplace. A DVD case study is used to support the training, highlighting how the use of welfare committees can improve communication between management and workers within leading companies. The programme is available in English, Swahili, Afrikaans and Arabic. This groundbreaking package of courses and supporting materials is designed to tackle discrimination in the workplace and promote equal treatment of workers. The programme consists of a two-day course for supervisors and a half-day course for managers and is available in English, Afrikaans and Arabic. All trainers are approved and assessed by the ETI. This is a modular programme focusing on compliance with the ETI base code. This programme is broken down into various practical ½ day to 1 day modules which support effective implementation of good practices to ensure successful compliance. Individual modules cover employment contracts, payment of wages and overtime, working hours for employees, freedom of association and occupational health and safety awareness. The Ethical Trade Awareness training programme is a basic introduction to the key requirements of ethical trade standards and social audits for managers. The programme consists of a one-day course utilising interactive training techniques designed to engage participants. Partner Africa is authorised to use FLO materials in the training of producers to meet Fairtrade requirements. We have adapted these materials into a 2-day course that introduces and advises non-certified organised farmers on Fairtrade requirements and the systems needed for certification. All Fairtrade certified producers have to set up a Joint Body made up of workers and management representatives, whose role is to prioritise the use of Fairtrade premiums for projects benefitting farm workers and the wider community. Many Joint Bodies lack the skills to implement these projects, putting their annual certification at risk. Using our many years of experience as a not for profit implementing successful community projects, we have developed a 3-day training course which has proven very successful in empowering Joint Bodies to spend Fairtrade premiums wisely. Partner Africa is a key-implementing partner and facilitates the delivery of all Rainforest Alliance certified training to producers in Kenya, and is able to offer this training to producers in other countries as well. The training guides small producers through all of the elements of the Rainforest Alliance Standard as well as the certification process. Partner Africa has a strong team of Rainforest Alliance approved Trainers. In order to help supply chain participants achieve their highest potential, Partner Africa has a long term commitment in undertaking capacity building programmes and activities, which strengthen the skills, knowledge, and behaviours of individuals and other stakeholders across supply chains. By doing this, we aim to improve our client’s systems, structures and operations/practices so that they can competitively achieve their ethical business goals. This enables us to offer a climate in which participants can develop trust and feel accepted, valued and sufficiently confident enough to take responsibility for their own learning potential. Our programmes therefore address the root causes of issues collaboratively, while providing an environment in which various stakeholders can discuss issues and implement strategies for addressing new issues, resulting in a direct impact as well as long term sustainable change.